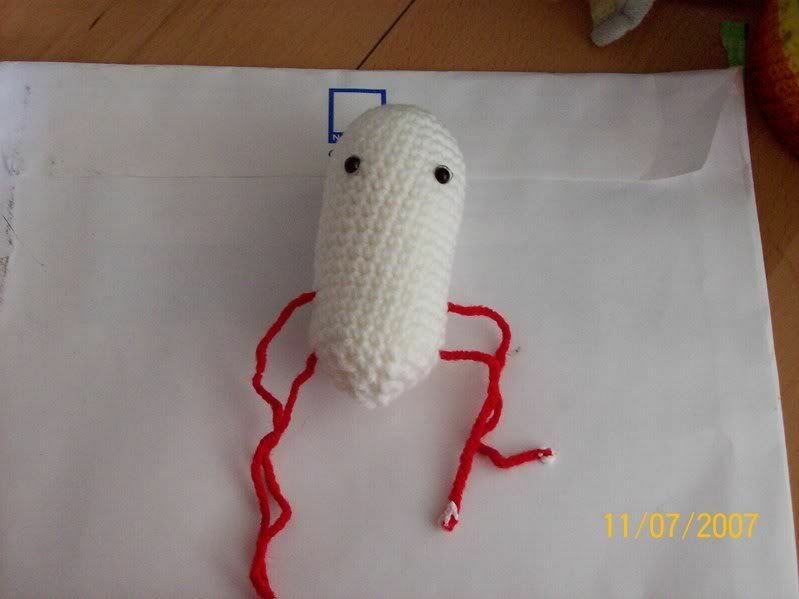 Craftster Community > CROCHET > Amigurumi: Completed Projects (Moderator: pottermouth) > ACK I have salmonella! Should I call the CDC? Re: ACK I have salmonella! Hahah, I love the Giant Microbes! I have a Black Death one (the actual one, not one I've made). I didn't know that they sold them through thinkgeek.com - I thought they did all their internet dealings through their own website. Anyway, well done. :] It was a good idea to just make your own. Who knew salmonella was so cute!? I love the giant microbes!!! Love it!!! You should name it 'chicken'! hahaha we have a bunch of these all over our lab! I should learn to make some so we can have more! Oh I love microbes! I crocheted syphilis but it didn't turn out too well. Yours turned out great!